≈ Comments Off on Full or Left Justification? Do you prefer full or left justification? In the legal writing community, this is a serious debate. It ranks up there with whether citations belong in the text or in a footnote, but not quite as serious as whether you follow the rule of one or two spaces after a period. Reference, Facts, News, Search Engines, Email, and More. Easy Peasy. ≈ Comments Off on Reference, Facts, News, Search Engines, Email, and More. Easy Peasy. Refdesk.com has been around a long time. If you have never seen it or used it, please give me the honor of making the introductions. Go the home page: http://www.refdesk.com. There is a lot to absorb. Take your time. Scroll down the page, and check it out. Bothered by the ads popping up on the page? There is an easy fix. Support Refdesk. Contribute $25, and Refdesk is add free for a year. No, you don’t have to contribute $25. You don’t have to contribute at all. But, if you want to use Refdesk frequently, I encourage you to contribute something. If you are like me, you do not want to keep scrolling to find what you want to see – you simply want to get there. Go to the top of the website, and look to the right. You will see three search tools: (1) Check Email; (2) Quick Links; and (3) Reference Desk. Right away, you can see that this has potential as home page. I want to look up grammar and punctuation rules. Go to Reference Desk, click the down arrow, and choose “Grammar/Style.” That’s a nice assortment of writing guides, but not exactly what I want. I’m looking for The Elements of Style. Click on More at the bottom of the page. There it is. A Compilation of Punctuation Guides for the Punctuation Police. ≈ Comments Off on A Compilation of Punctuation Guides for the Punctuation Police. If you are a member of the Punctuation Police, you will enjoy this sample of punctuation guides. Depending on your profession, some style guides are more important than others. For example, if you are in the legal profession, you would look to the Bluebook for specific rules on punctuation. Grammar Lessons From The CIA. ≈ Comments Off on Grammar Lessons From The CIA. In 2014, a leaked copy of the Directorate of Intelligence Style Manual & Writer’s Guide for Intelligence Publications found its way to the Internet. That long title belies what it actually is: A well-written style book for the CIA — the Strunk & White for Spies. Inside the 181 pages (not including the index) is a terrific guide for normal folks, and not just government sleuths. It still offers some unique advice, however, and you won’t find some of these examples in your copy of the Oxford American Dictionary. . . .
Formatting for Persuasive Legal Writing Makes A Difference. ≈ Comments Off on Formatting for Persuasive Legal Writing Makes A Difference. Paragraphs and Indentation Formatting for Persuasive Writing, by Collin Walke, Vol. 86 OBJ No. 5 (2014). Contrary to that pesky little voice in your head at this very moment, formatting is not a boring topic and is absolutely critical when writing a legal brief. Aside from the technical rule requirements for formatting briefs, which will be discussed in greater detail below, formatting is essential for persuasion. 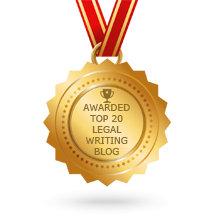 One of the best legal writers I have ever had the privilege of working with has a paperweight on his desk that reads: ‘Good writing is clear thinking made visible.’ Without good formatting, quality content will be lost in the mire of facts, law and argument. The point of this article is to outline what good formatting looks like. First, the brief must be written in accordance with the formatting rules of your particular court. A brief for the district court of Oklahoma County will look different from a brief for the Western District of Oklahoma. Second, the format of the brief must be laid out so that it assists the reader in understanding your position. Finally, your format should match the needs of the particular brief. . . .
≈ Comments Off on Federal Judges Writing Manual. This Writing Manual is obviously written specifically for federal judges. Twenty-four experienced jurists were interviewed to write the Manual. Its board of editors are judges, law professors, and legal writers. 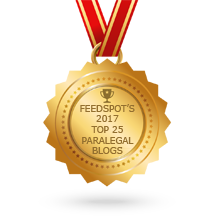 Although written for federal judges, it provides insight for any legal writer, especially those who practice in federal court. The Manual is available in print or you can download it as a .pdf document. This is more. Look at the left-hand side of the page, and click on “Recent Materials“: http://tinyurl.com/odjltbl. From there, it just gets better. At this link you will find papers on specific areas of law. One that caught my eye is Meghan Dunn’s “Jurors’ and Attorneys’ Use of Social Media During Voir Dire, Trials, and Deliberations: A Report to the Judicial Conference Committee on Court Administration and Case Management.” It is available only online. More Yummy Candy for Writers. ≈ Comments Off on More Yummy Candy for Writers. Style Manuals for the CIA and NSA SIGNIT and More. ≈ Comments Off on Style Manuals for the CIA and NSA SIGNIT and More. ‘National Security Counselors law firm has obtained a copy of the CIA Directorate of Intelligence Style Manual, Eighth Edition, 2011. It is entitled Style Manual & Writers Guide for Intelligence Publications. The CIA Guide is not alone. Each of the members of the Intelligence Community ­IC ­ have one or more Style Manuals to conform the reports and documents of that agency to a consistent writing style and usage. This is highly important to achieving clear and unambiguous communications of such matters.